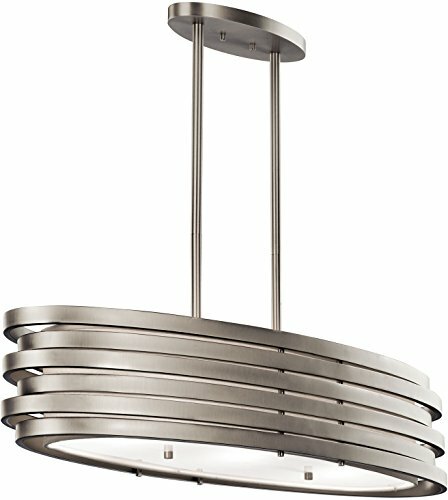 Kichler brings you an unparalleled variety of indoor lights, accessories and landscape lighting products in exciting style families, unique finishes, fresh colors and unequalled quality. 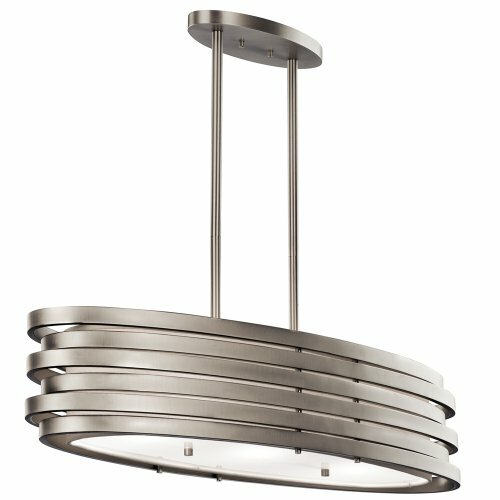 This 3 Light Oval Chandelier From The Roswell Collection Will Create A Unique Impression In Your Home. 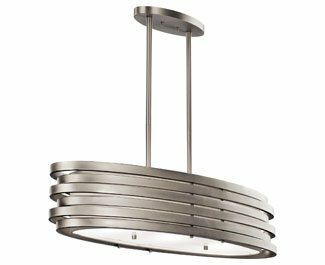 The Brushed Nickel Outer Finish And Beautiful Satin Etched Glass Form A Distinctive, Linear Design.